Some gardeners freely admit that they don’t grow indoor plants. They might occasionally buy a blooming indoor plant and take it home to enjoy for a few days, but once the bloom is gone, they toss the plant out. It’s a brief relationship at best. But for some of us, growing indoor plants is a long term relationship. We have plants indoors that have been growing with us for 10 years, 20 years or longer! Here are five indoor plants that I’ve had for at least 15 years. Aloe vera. One year at a family reunion, an aunt brought starts of an Aloe plant that had belonged to my grandmother. “Would any one like one?” was all I heard, and I took one home. 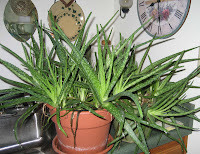 It soon became several pots of Aloe, so I’ve shared starts with siblings, nieces, nephews, friends, anyone who wanted one. Right now, I’m down to one pot of this Aloe plant as it recovers from a nasty mealybug infestation. But soon enough, I’ll have more to share. I now have two divisions from that original plant, growing in the “quarantine room”, also known as the den, as they, too, recover from the mealybugs that invaded my indoor garden. Christmas cactus, Schlumbergera sp. Who knows when I got this particular plant? I would guess it has been growing and blooming in my house for at least 15 years. It’s getting a bit “thick stemmed”, so I took some cuttings from it a few weeks ago. If the mother plant dies, I’ll still have its white blooms to enjoy for many seasons to come. Cactus. A friend gave me a start of this cactus with no name about 15 years ago. It’s almost a permanent fixture in the sunroom, growing through and around the wire shelf it sits on. It’s not a plant I want to pick up and move around anyway, with those menacing pricklies. Occasionally a branch will drop off, and I’ll carefully stick it in some potting soil and give it away once it has rooted. The Night Blooming Cereus. Need I say more about this one? This is Epiphyllum oxypetalum. I inherited it in 1987 when my Dad passed away. It was much smaller then, but I’ve let it grow and encouraged it along, and eventually repotted it in a larger container. Now it “owns” the corner of the sunroom where it sits, too large to move outdoors in the summer where it might actually be happier and produce more blooms. I usually get one bloom a year, sometimes two, and that’s enough excitement for me. I’ve also got my aunt’s night bloomer and four starts of new plants as back up in case something should happen to this one. Jewel Orchid, Ludisia discolor, 5 plus years. What makes these good plants for a long term relationship? Most are easy to care for, asking for very little other than some light, water, and a little bit of fertilizer now and then. They are also easy to propagate. If the original plant starts to decline, it’s easy to start new plants from divisions or cuttings. This also makes them easy to share! Do you have any long term relationships with indoor plants? I have a spider plant that was given to me as a starter off a larger plant - I've managed to keep it alive for going on 4 years now - pretty good for me! I have also fell in love with rubber tree plants and the "zzz" plant - sorry not using the scientific names. Great timing, great post, Carol. I think lonesome outdoor gardeners all have beloved houseplants to tend and be thankful for. My Clivia miniata has been a houseguest for over 30 years ... she loves to vacation outdoors in summer, then rest & relax on a cozy sunporch in winter. What a good life! 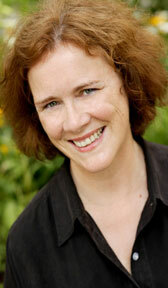 No wonder she is so happy and tips me with faithful blooms each spring! Happy Thanksgiving. Nothing of quite that magnitude: my longest plant relationship at the moment is with several Yucca elephantipes that I got ten years ago, give or take. There's also a Euphorbia tirucalli that's stuck with me for seven, a Spathiphyllum of five years, two Cereus peruvianus of four years, and several Haworthias of four years. That's a hell of an Epiphyllum. Great post, Carol. My oldest plant is a 20-yr-old schlumbergia I bought when my husband and I first moved in together. Then I have a bunch of plants I bought when we first moved into this house, almost ten years ago. I assumed then that having indoor plants was part of the home-owning experience, and I have not swerved from that conviction. I envy you you night-blooming cereus, and would love to have one! I have occasional reveries about this very topic perhaps because I have some sadness about the plants I left behind. The bedroom of my childhood was a jungle even when I was away at college. So many of my plants were nearly indestructible succulents. Still, when I finally moved away from home, I took virtually no plants with me. Snake plants, wandering jews, spider plants, mothers of thousands, a ti plant, a dracaena marginata, a Christmas cactus, some grapefruit trees, at least one begonia, and various jade trees all stayed behind. On each successive visit home, I'd find fewer and dying plants in my room. All that I eventually salvaged is a jade tree that hasn't changed appearance in about 17 years. It has many progeny, and my daughter's bedroom is taking on a bit of the jungle look. Growing plants I don't expect to eat takes more energy than it's worth to me, but that jade tree has been with me for 35 years. About six years ago I added a snake plant from a friend's thinning project... and I hope some day my daughter will add its progeny to her houseplant jungle. We have quite a few plants that spend summers in the shade on our deck, and the winter inside. We've had angel wing begonias, (or their cuttings), airplane plants, and cacti for around 10 years. We have other plants that have spent a winter or two inside so far. The mother in law tongue, which has thrived on neglect around 13 years, and philodrendrons, around 8 years, stay in the house year round. 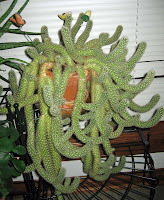 I like the idea of that Night Blooming cactus, Carol - but have no room for something that big! Most of my houseplants were given away to people in Illinois when we moved to Texas but a couple came with me, The 34-year old Jade plant is not quite as old as Daniel's at 34 years, and I've owned the parent of your Stapelia for 21 years. Both Jade & Stapelia have multiplied. The Texas plants are all under 9-years old - just babies compared the plants everyone is posting. I have a Christmas cactus that is fairly old, but was only given to me recently. We shall see if I kill it or not. On the bright side, my African violet is doing much better since I changed locations. 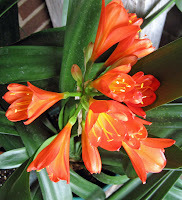 :) I love that Clivia miniata...such pretty blooms. I love that so many of your plants were gifts or legacies from friends and family. My 2 Cacti (out of 3 originally) are about 14 years old. My husband gave them to me before we even started dating. The 3 tiny plants were all together in a little dish he brought back from Palm Springs. I can't believe I've managed not to kill them. I claim to not have house plants but I have two actually...a large Philodendrum...that for all practical purposes might as well be silk and a Sansavera...another plant that grows on its own! They do take commitment and a lack of plant eating animals in the house! reminds us of our winter home in Arizona..If I had a sunroom I surely would have MORE!! My collection is a mere 3 yrs old..amazing that you have had yours for 15 yrs!! Our Easter tradition is to go out and rescue a couple of houseplants from those racks in the nursery with the pastel pots. The poor little plants need a chance to get out of those itty bitty pots and they find a new home in one of our sunny windows. We've been doing that for two years now and we have a Swedish Ivy, some other sort of ivy, something palm-like and a schiflera. All are doing well and awaiting the next member of their family. Nothing as old as your night bloomer. I don't do well with indoor plants. I do have a couple plants that are 5 or so years old. 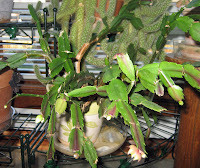 My night blooming cereus is probably 8 maybe my oldest indoor plant. It has tried to die a couple of times but has come back nice this round. I've had relationships with many indoor plants over my life, but I have let them all go except one. It is my trusty aloe plant. I got it 25 years ago from my lab partner in college. I couldn't live without it. Whenever I burn myself in the kitchen (where it lives on the windowsill), it is always there to fix me up. Luckily for the aloe it CAN live without me. So when I go away for a couple of weeks it is still alive and happy when I come home. None of my other plants could do that, which is why only the aloe survives. It took me along time to figure this out... but the answer became obvious, Bluegrass! Everyone wants a nice lawn... and the only way to have one is by supplemental irrigation. Trees are generally planted in the lawn... thus a mutually beneficial situation was created. We want grass... so we water grass and the trees come along for the ride! Yea some of my plants Ive had over 6 years now. 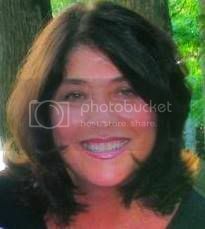 My biggest phopa is forgetting about them and they drying up. I have one that's 33+ years old, given to us as a wedding gift from our florist. It doesn't look as great as it did when he gave it to us, but I'm pleased we still have it!